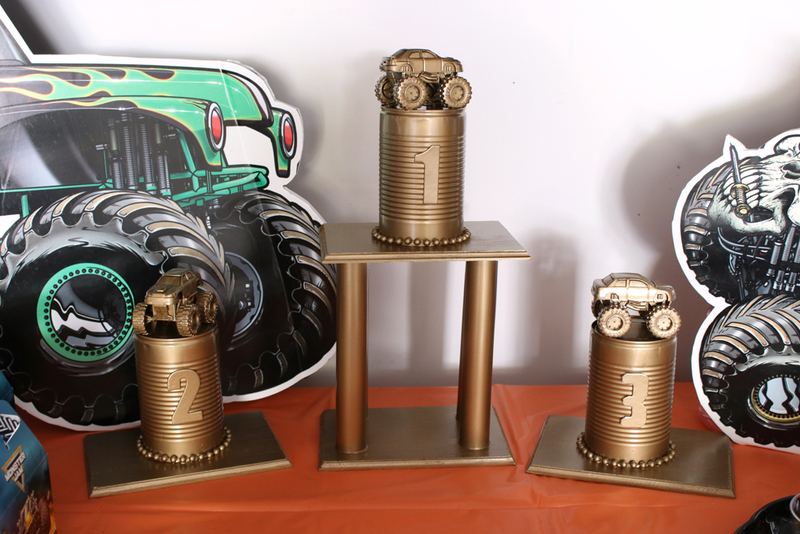 At the end of your Monster Truck party obstacle course activity, award winners with a prize! 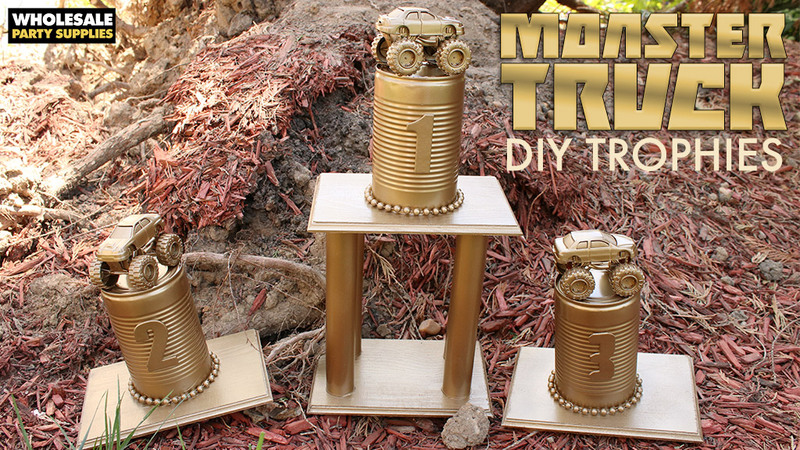 Craft up a unique DIY Monster Truck Trophy they’ve never seen before! Use inexpensive items and those you already have on hand to create a one-of-a-kind reward for the fastest finisher, cleanest competitor, best show of sportsmanship or any theme you determine for your party. This post was written, styled and shot by Tara at Spot of Tea Designs. 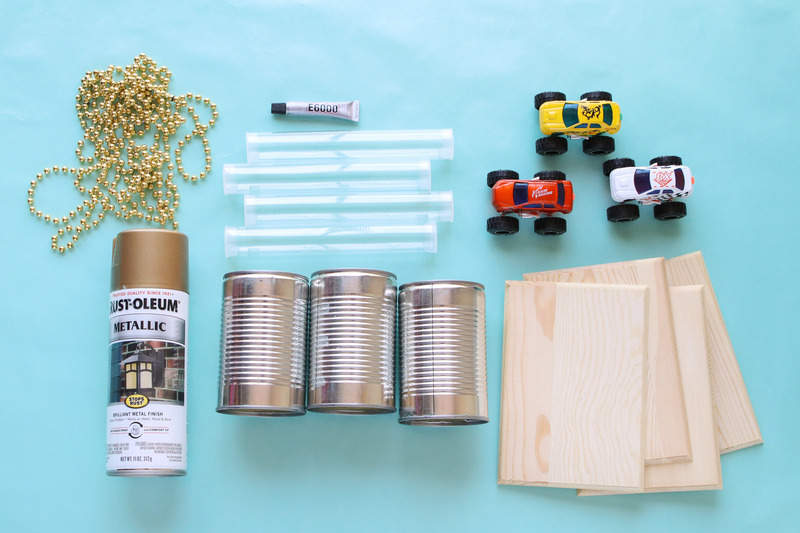 Stop by her blog to see tons of smart ways to keep kids engaged at parties and every day. To create the taller trophy, adhere 4 candy tubes closed with tops on both ends. Adhere these four tubes on top of a small wood plaque and adhere another wood plaque on top. Adhere a recycled tin can on top and a mini monster truck toy at the very top. This is your basic trophy shape. 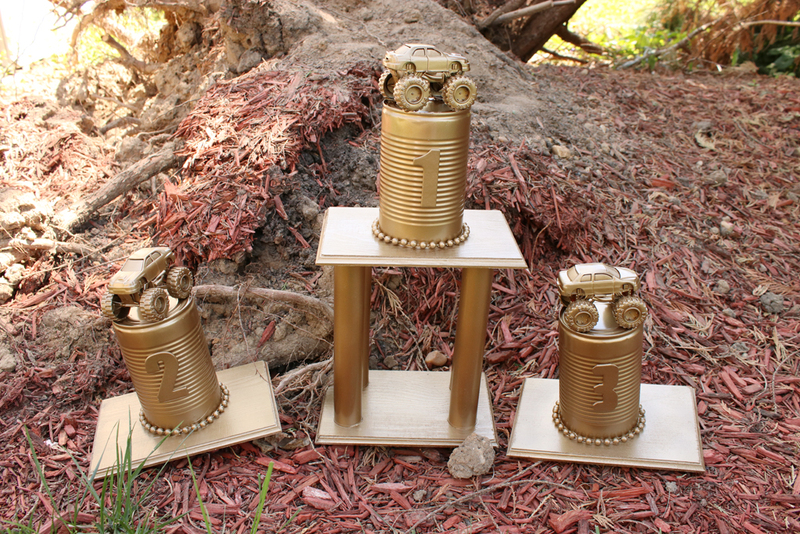 To create the smaller trophies, adhere a tin can onto a small wood plaque. 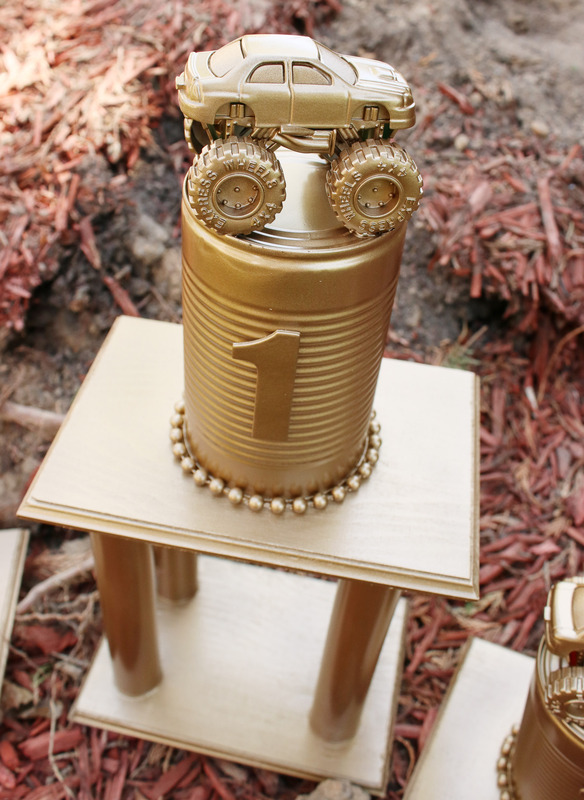 Adhere additional elements, such as plastic beads, nuts and bolts or numbers to embellish the trophies further. Allow this to dry completely. Create a spray booth by cutting the top and 1 side of a cardboard box open. 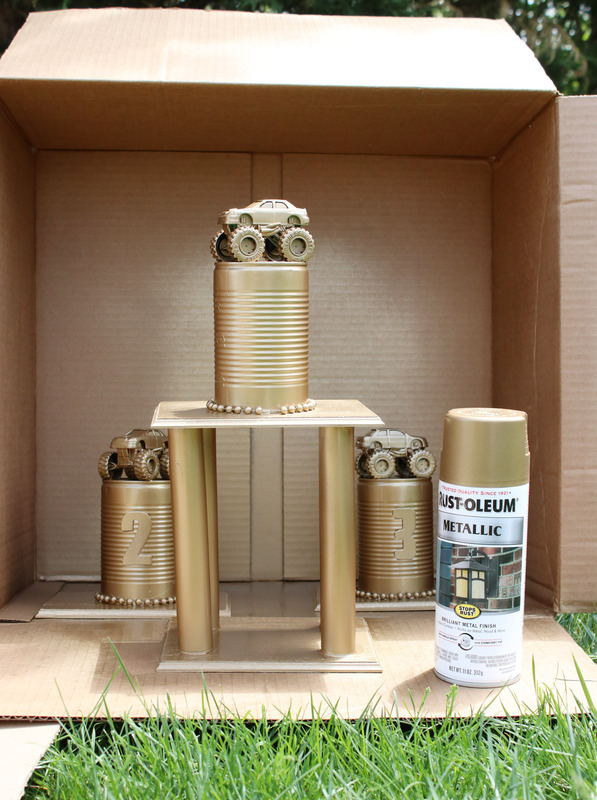 Place your trophy inside and apply several light coats of spray paint onto all sides. Allow time to dry between coats. 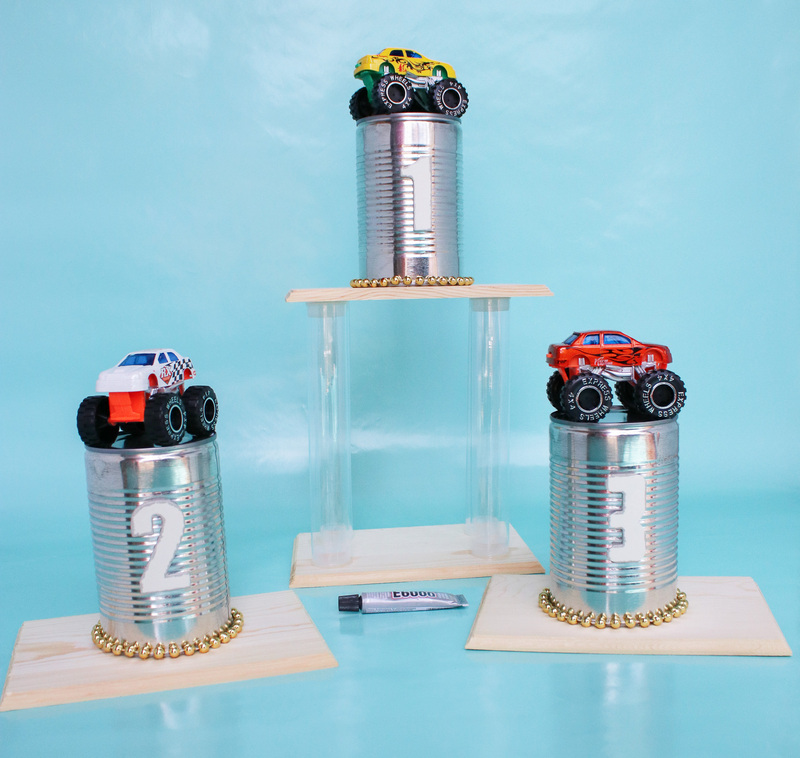 Once completely dry, display these DIY treasures at your monster truck dessert table and get everyone ready to complete in your backyard obstacle course! 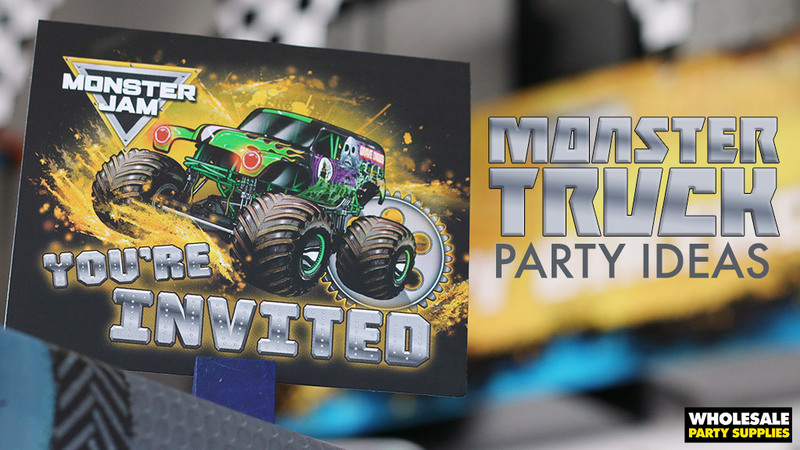 Shop for all of you Monster Truck Party Supplies in our shop!